Mukesh Ambani, chairman of Reliance Industries, also gave a persuasive message to the users through video message. This is your first kind of partnership between Jio and Apple. Now with the best and attractive tariff plans and buyback offers of Jio by Reliance Digital, the iPhone will become much more economical for the common people in India. Mukesh Ambani-owned Reliance Jio has joined hands with the mobile manufacturer Apple. Now any customer can enjoy India's fastest data network by offering live offers to Apple. Reliance Digital, the special 70 per cent, Reliance Corporate Park, Apple on its sprawling campus located in Navi Mumbai with the buyback scheme Inc. its new phones were introduced iPhone 8 iPhone 8 plus. Jio iPhone 8 and iPhone 8 Plus are being offered with a special package so that consumers can enjoy internet services in a uninterrupted manner. Through this offer, Reliance Jio will provide an excellent experience for Apple users to the 4G network. Apple and consistently a partnership be developed between the director of the Aifons while setting milestone Jio launches Akash Ambani and senior Apple and live at the event live are also present. On this occasion, Apple CEO Tim Cook greeted the iPhone and Jio users by issuing a video message. Mukesh Ambani, chairman of Reliance Industries, also gave a persuasive message to the users through video message. This is your first kind of partnership between Jio and Apple. With this special partnership, users will get an opportunity to experience the real strength and characteristics of the iPhone and they will be able to enjoy new enjoyment of mobile services in India on the Jio Advanced Network. 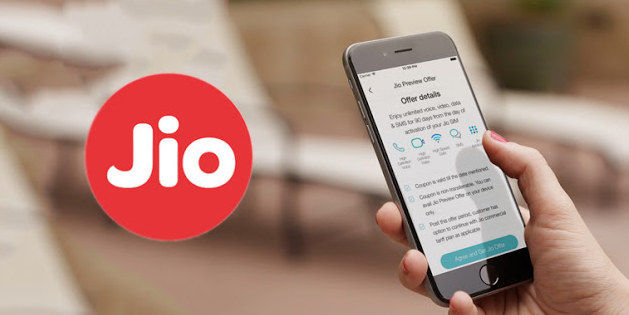 According to Jio's claim, the only such platform ready for the future is that Indian customers will be able to experience iPhone features, applications and games. They also include future techniques. It also includes Virtual Realty and Argument Reality. Both Reliance Jio and Apple brands will now work together to make Apple's great products and services available to Indian customers faster, including Apple's Mac Lab and iPhone X. Sharing with Jio has also created an unprecedented distribution platform in India for iPhone 8 and iPhone 8 Plus. This is the first time that the latest iPhone will be available in more than 2000 Reliance digital outlets in 900 cities of India. Now with the best and attractive tariff plans and buyback offers of Jio by Reliance Digital, the iPhone will become much more economical for the common people in India. In addition to being a leader in the market for new direction and pioneering in the market, Reliance Jio has specially presented a fantastic tariff plan for the iPhone 8. In the MRP 799 plan, 90 GB data is provided per month for postpaid users, along with the complementary subscription of Free Voice, MMS and Jio Premium applications is also being provided. MRP 799 is also available for prepaid users with validity of 28 days. This special iPhone 8 plan will ensure that the iPhone 8 users can enjoy completely uninterrupted digital life without worrying about the data. Jio has announced that Reliance will also offer a special 70% buyback on the iPhone 8 and iPhone 8 Plus. This offer ensures that a customer who chooses an option of MRP 799 or more, will be entitled to receive 70 percent buyback amount of MRP on the return of the device after one year. This offer not only makes this device more affordable, but also enables customers to use the plans to upgrade to the new models. Customers can get this offer on Reliance Digital or Jio stores as well as from the MyJio app and Amazon. Today's announcement brings the incredible iPhone experience to India's best premium 4G network together. The real strength of the iPhone can now be experienced by all Indian iPhone users on the Jio Network. Jio-Apple interaction will also help in enhancing customer base in the coming months.